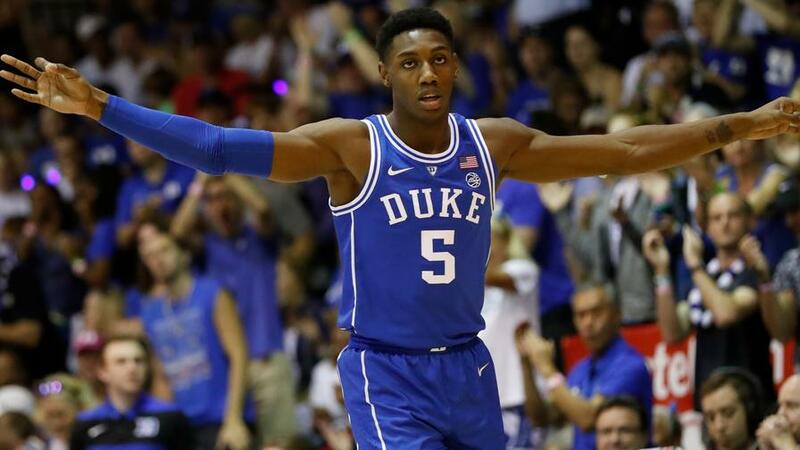 R.J. Barrett is in a prime spot as Duke looks to get back on track with a win over Indiana. Which other players should be in your lineups tonight? Now that you're in the know, we can attack today's main slate, which locks at 7:00 p.m. EST and consists of eight games. At the top of this jam-packed slate of games, we get Duke hosting Indiana in a game with a slate-high 158.0-point over/under. R.J. Barrett, Duke ($8,600): On Tuesday night, the Blue Devils will return to Cameron Indoor Stadium after dropping their first game of the season out in Maui. They will be looking to show out and return to form against the Hoosiers, against whom the Dukies are 14.5-point favorites with the highest implied total (86.25) on the main slate. There's a chance that Duke will run away with a comfy win, but that shouldn't play a part in whether you roster Barrett. The star freshman is averaging a team-high 32.3 minutes on the year, and that's after logging 39 minutes apiece in the last two games. He has yet to produce any fewer than 29.8 FanDuel points in a game, while maxing out at 44.8 and averaging 34.8. Even in the loss to Gonzaga, he turned in 38.9 FanDuel points with 23 real-world points. 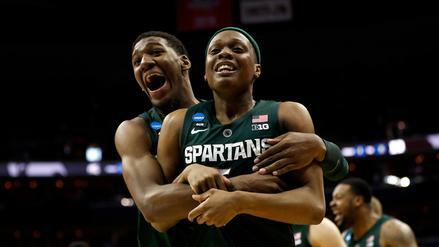 Cassius Winston, Michigan State ($8,000): This year's Louisville squad isn't what we're used to seeing. 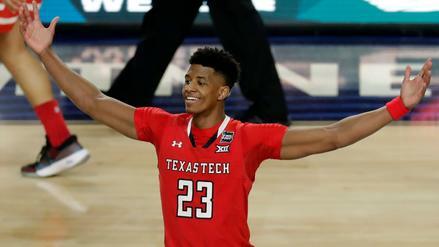 Not only are they off to a rocky 3-2 start, but the Cardinals rank outside KenPom.com's top 50 teams with their defense, sitting 95th in defensive efficiency, all the while surrendering 74.6 points a game. It's for that reason that the visiting Michigan State Spartans carry an implied team total of 79.25 into tonight. That's the third-highest clip on the slate, putting point guard Cassius Winston in a great spot. Sporting a 43.1% assist rate and 26.6% usage rate, Winston is worth a look over Barrett in cash, particularly with how roster construction is trending toward a more balanced lineup this evening. Clayton Custer, Loyola-Chicago ($6,200): Tonight's rematch between Loyola and Nevada isn't expected to be a top-three scoring game on the slate, but the 150.5 over/under tells us it's a game we want exposure to. At first glance, choosing where we can take advantage is tough, but usage rate points us to Custer. The senior guard's 25.7% usage rate is tops on the team, and he's managed to turn 29.7 minutes and 11.2 field goal attempts into a team-best 14.8 points per game. 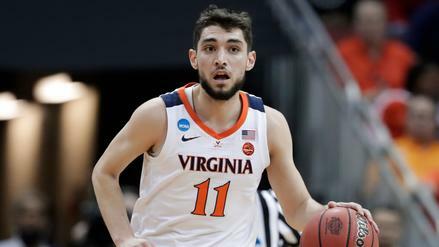 The Ramblers will need him to score to keep pace with Nevada and beat them for the second time in two years. Jordan Bohannon, Iowa ($5,500): As part of the ACC/Big Ten challenge, the Iowa Hawkeyes square off with the Pittsburgh Panthers in Carver Hawkeye Arena. Both teams are off to undefeated starts to the 2018-19 season, but Iowa is 32nd in KenPom's ratings, a whole 86 spots ahead of Pitt. Naturally, Bohannon and the Hawkeyes are 13.0-point favorites with an 83.5 team total thanks to a lofty 154.0 over/under. At this price point, the junior guard is one to fit in. He has two games of at least 24.3 FanDuel points this year as well as three contests of at least 12 points and 3 assists. Xavier Pinson, Missouri ($3,700): Pinson is a complete punt play here. He might get you single-digit points, but the opportunity for him to find value (4.0 points per $1,000) -- 14.8 FanDuel points -- is there. Jordan Geist is dealing with a back injury and could be held out of this one, meaning more minutes and shots to go around in the Missouri backcourt. Up against the Temple Owls, Mizzou has an implied total under 70. However, Pinson's gone back-to-back games with at least 12.9 FanDuel points, scoring 17 points on 11 combined field goal attempts over the two contests. Ethan Happ, Wisconsin ($9,000): Zion Williamson is always in play in this type of matchup, but with Happ at just $100 more, you don't have to compete with the likes of Barrett and Cam Reddish on the offensive end. The senior forward has used 32.7% of his team's offensive possessions while on the floor, clearing all other starters by at least 7 percentage points. And why wouldn't that be the case? After all, Happ is averaging 17.8 points, 12.5 rebounds, 5.7 assists and 1.7 blocks, coming to 43.0 FanDuel points per game when all is said and done. It only helps that the Badgers host North Carolina State, who are 34th in adjusted tempo and 72nd in defensive efficiency. John Mooney, Notre Dame ($7,600): Notre Dame is almost certain to go overlooked on this slate. They really don't have any household names, and they're 52nd in KenPom's ranks. Nevertheless, their 77.5 implied total puts them in the top five and separates them from the rest of Tuesday's squads. Their opponent, the Illinois Fighting Illini, is 118th in defense and 95th overall. After two disappointing -- or blowout-marked -- games to star the year, Mooney has averaged 26.5 FanDuel points over his last four, including three of 34.2 or more. In that same span, he has four double-digit rebound games and three with at least 13 points. His floor and ceiling are both nice in this favorable spot. 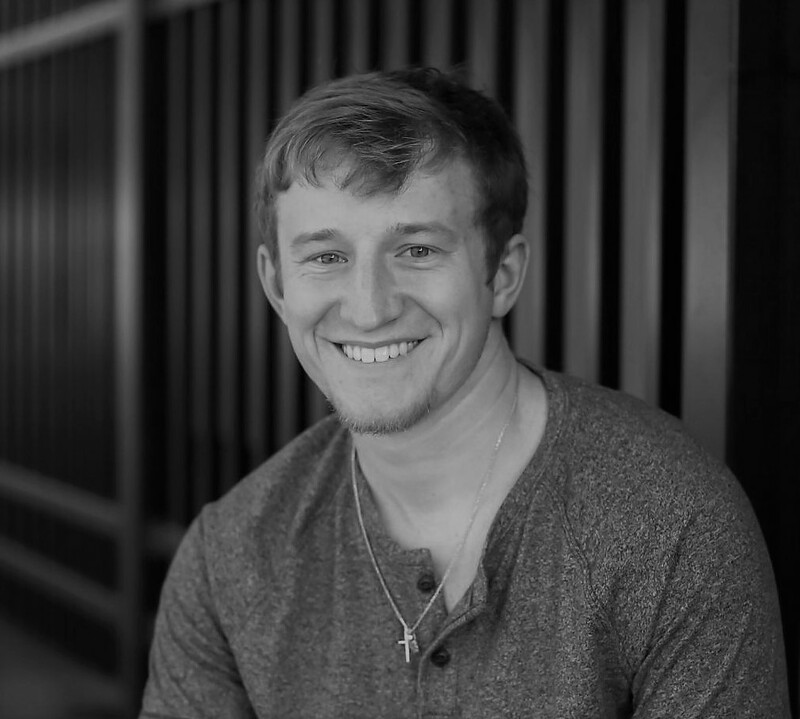 Tyler Cook, Iowa ($7,100): Again, pairing up some low- to mid-priced Iowa plays is the way to go. The Hawkeyes are 45th in adjusted tempo and the slow-paced (222nd) Panthers should have trouble defending that type of style. At his price, Cook might just be the best point-per-dollar guy of the night. His 26.9% usage rate is first among all Iowa players with 50 or more minutes played, and he's getting up 9.2 shots along with 6.8 rebounds per game. His 3.6 turnovers have held down his FanDuel output, but if he can limit those tonight, we could be in for his third 30-FanDuel-point outing of the year. Tre'Shawn Thurman, Nevada ($6,100): At the start of the year, it seemed as though Trey Porter would be the forward-eligible player to target for the Wolf Pack, but as the season's now matured, that hasn't been the case. At 6'7", Thurman plays a lot of small forward to start games, but he transitions to power forward often with Nevada preferring small-ball lineups when Porter goes off for long stretches. Thurman's benefited in a big way, averaging 23.8 minutes per game and 26.0 over his last three. The senior has had a few duds, but when he's gotten good run, he's accumulated 25.2-plus FanDuel points on three separate occasions. And, oh, he's coming off his best performance of the year, having gone for 22 points, 8 rebounds and 36.6 FanDuel points last time out.